It’s quick and easy to completely change the look of your dashboard so that it’s consistent with your company's branding. Geckoboard provides a selection of standard Themes, carefully designed with clear colors and contrast. You also have the option to choose your own background and widget colors and display your logo in the footer. Which customization features are available on my plan? You'll have full access to the dashboard customization features on our Team and Company plans, and throughout your free 30-day trial. Our Basic plan enables you to preview the full set of features, but you will be limited to how much you can save. For more information on upgrading your account, see Our Plans Explained. To customize your dashboard, follow these steps. Select the dashboard you wish to customize. Select Customize appearance from the drop-down menu. The Theme tab contains four predesigned themes: Dark, Light, Navy, and Purple. Click to preview each one and see how they suit your dashboard. If you're on our Basic plan, you will be able to preview the Navy and Purple themes, but they won't remain after saving. The Custom tab gives you further control over the colors of your dashboard. Click the  eyedropper icon to bring up the color picker panel. Use the color slider and color field to preview a color. As you adjust the color, the numeric values are adjusted accordingly. 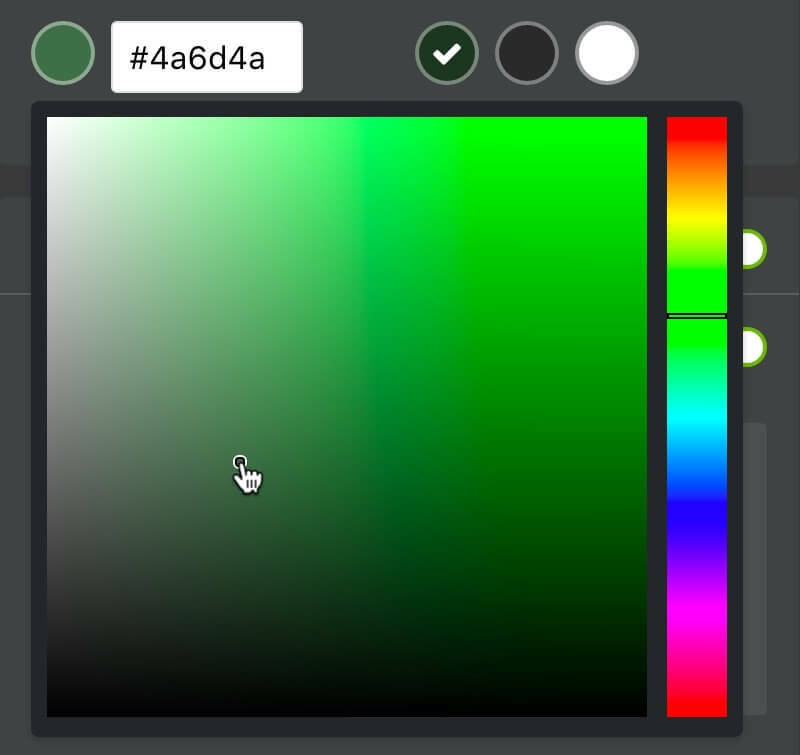 If you know the hexadecimal value of the color you want, you can enter it into the text field. You can also choose from three different themes for your widgets: A darker shade of your chosen background color, in addition to dark and light. Choose whether to display a Dashboard footer by using the  toggle switch. You might choose not to display the footer to save space for additional widgets on your dashboard. Removing the footer will mean you cannot display your logo or the clock. To upload and display your Logo in the footer, drag an image file from your desktop or any folder on your computer, or click to select a file. Once uploaded, your logo will appear on the customization menu and on your dashboard preview. For best results, we recommend uploading images no less than 100px in height. Additionally, there is a size limit of 2MB. Choose whether to display a digital Clock on your dashboard footer by using the  toggle switch. Choose whether to display small or large fonts on your dashboard. Larger fonts are ideally suited to most TV displays. Select the density of your dashboard grib. Standard is best for focusing on a few key metrics, Dense allows more data. When you're done customizing your dashboard, click Save.